Career website Glassdoor on Friday released its latest report highlighting this year’s top 50 highest-rated Chief Executive Officers (CEOs), and it seems like the tech world played a big role in the list. In fact, Facebook CEO Mark Zuckerberg has unseated Apple CEO Tim Cook from the number one spot he grabbed last year. Glassdoor compiled its figures based on more than half a million company reviews submitted by employees between February 25, 2012 and February 24, 2013. During the past year, Zuckerberg saw his CEO approval rating climb 14 percentage points to 99 percent while Apple CEO Tim Cook fell to the 18th spot this year as he saw a decrease of four percentage points to 93 percent. 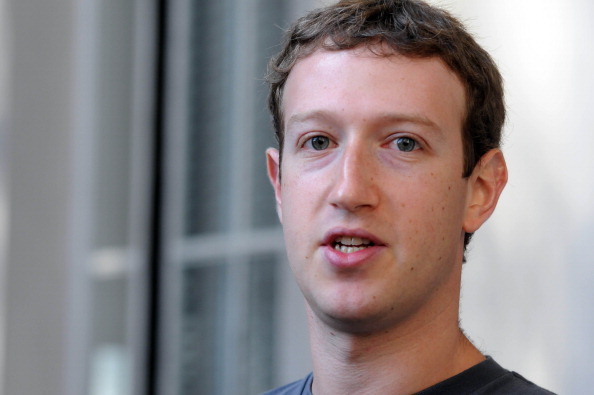 1: Facebook’s Mark Zuckerberg, up 14 points to a 99 percent rating. 2: SAP’s Bill McDermott & Jim Hagemann Snabe, up 7 percentage points to a 99 percent rating. 7: EMC’s Joe Tucci, up 9 points to a 96 percent rating. 8: Qualcomm’s Paul Jacobs, up 1 point to a 95 percent rating. 10: Accenture’s Pierre Nanterme, up 5 points to a 95 percent rating. 11: Google’s Larry Page, unchanged at a 95 percent rating. 12: Citrix’s Mark Templeton, down 2 points to a 95 percent rating. 13: Salesforce’s Marc Benioff, up 2 points to a 94 percent rating. 15: Nvidia’s Jen-Hsun Huang, , up 3 points to a 94 percent rating. 16: Amazon’s Jeff Bezos, up 13 points to a 93 percent rating. 17: Ericsson’s Hans Vestberg, up 6 points to a 93 percent rating. 18: Apple’s Tim Cook, down 4 points to a 93 percent rating. 21: Intel’s Paul Otellini, down 1 points to a 91 percent rating. 22: NetApp’s Tom Georgens, down 2 points to a 91 percent rating. 23: Intuit’s Brad Smith, down 5 points to a 91 percent rating. 45: Broadcom’s Scott McGregor, up 2 points to an 82 percent rating. 46: Oracle’s Larry Ellison, unchanged at an 82 percent rating. 49: Dell’s Michael Dell, up 9 points to an 81 percent rating. It’s worth noting that Victoria’s Secret’s Sharen Turney was the only female top executive to crack the top 50 with her 82 percent approval rating, ranking in at number 42. HP’s Meg Whitman, the only woman on last year’s report at number 24, did not make the cut, and neither did another notable female in the tech world, Yahoo CEO Marissa Mayer (although she’s a relatively new CEO). When you put it that way, it only further emphasizes how big of a deal it is for Zuckerberg to top the list. After all, he’s only 28 years old.